Comic book/nerd/geek save the date with photo. Single-sided save the date and envelope included. 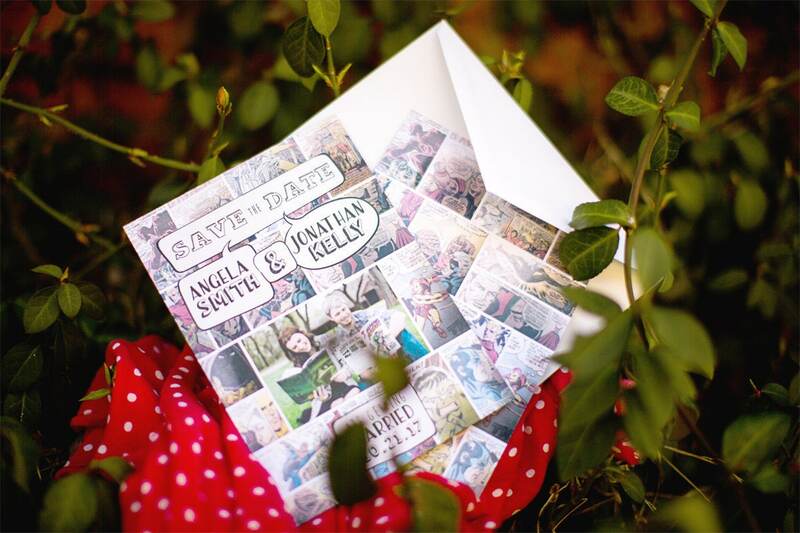 The comic book save the dates were perfect for our Marvel themed wedding and our family and friends loved them! Kristin did an amazing job and was so easy to work with, I can't wait to order the matching invitations!